Sardine Symphony, a photo by James Neeley on Flickr. 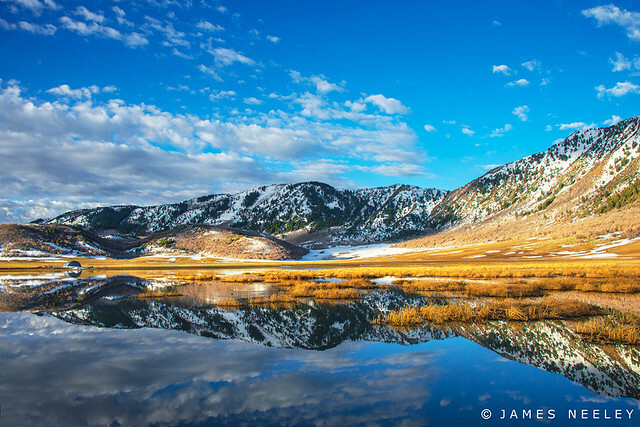 The interplay of sunlight, reflection, early spring growth, and snow was enough to make me backtrack a few miles to get this shot of the flooded lowland in Sardine Canyon between Logan and Brigham City, Utah. The Carousels exhibit at the Museum of Idaho is very well done and a great place to snap a few pictures of these vintage designs. Who can pass up an "S" curve or great triangle? Techno Abstracts are great fun and can be found almost anywhere as long as we are looking for them! 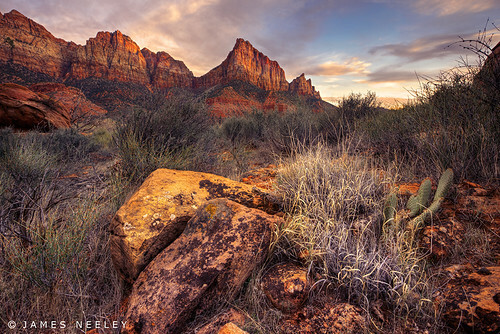 Melodies of Zion, a photo by James Neeley on Flickr. The red rock of the Watchman (center peak) appears more saturated at sunset in Zion National Park. This is not an HDR image but rather a single Raw image converted with Adobe Camera Raw and processed in PS CS6. Click on this image and view a dynamic range test for the Nikon D800, D4, and D3s cameras. 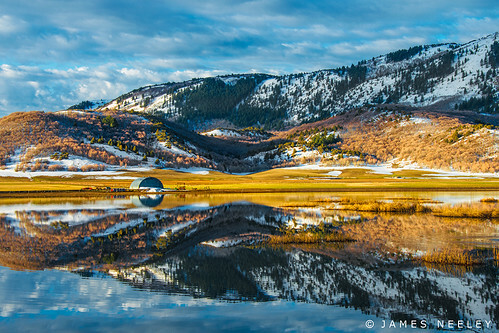 Spring!, a photo by James Neeley on Flickr. 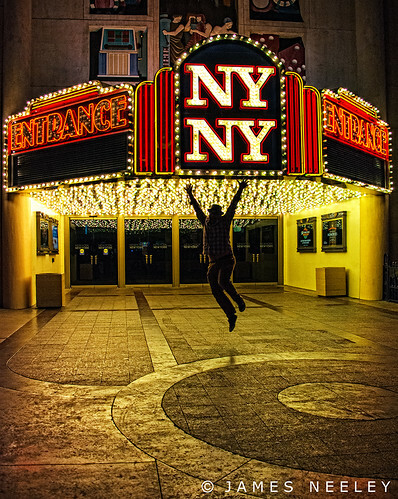 Gabe Biderman, one of our workshop leaders, provides a little life ( and lift) to this shot of the entry of the New York, New York casino in Las Vegas.